Junior grooming kit in a cute zip close bag with a carry handle. 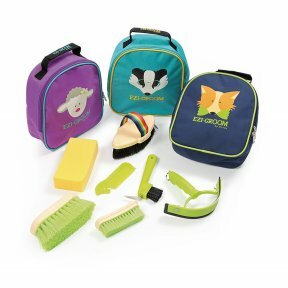 Contents: dandy brush, body brush, face brush, sponge, horse character comb, hoof pick/brush, sweat scraper. A lovely match for the Tikaboo Junior Jods! 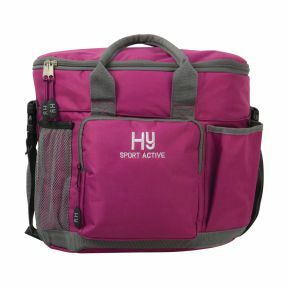 Hy Sport Active Grooming Bag A smart & colourful bag to keep your grooming essentials neat and tidy. 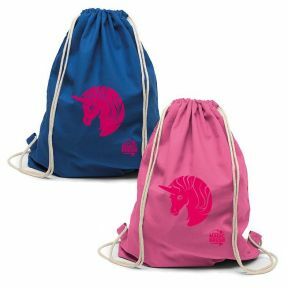 The Magic Brush Unicorn Bag Colours Pink, Blue Size One size Manufactured from top quality cotton, The Magicbrush Unicorn bag is great for keeping horsey stuff tidy.